Australia's foremost authority on Asperger's syndrome, Tony Attwood, has warned of dire consequences if governments use the new diagnostic criteria for autism as a means to cut funding for children at the mild end of the spectrum. ''A child diagnosed with apparently mild autism may have challenges that are profound to them. If they are offered little or no support, there potentially could be tragic consequences,'' Professor Attwood has told the new edition of the Australian Autism Handbook, which is published on Monday. Changes to the criteria for the diagnosis of autism - which unlock $12,000 in funding - are due to come into effect in May. According to Australian and American studies, the changes are expected to exclude the highest-functioning nine to 23 per cent of autistic children, many of whom would have received a diagnosis of Asperger's or high-functioning autism under the old criteria. Those higher-functioning autistics are likely to receive a diagnosis of social communication disorder, as distinct from autism spectrum disorder. The federal government has not confirmed whether it will fund children diagnosed with social communication disorder. ''At worst, 75 per cent of those with a current diagnosis of Asperger's will no longer meet the criteria for an autism spectrum disorder diagnosis under the new criteria,'' Professor Attwood said. The federal government is yet to decide whether social communication disorder will qualify for Helping Children with Autism funding. The HCWA program has been in place since 2008 and has helped 19,000 children gain access to early intervention services that vastly improve their chances of fitting into mainstream schooling. Disability Reform Minister Jenny Macklin said through a spokesman that her department would ''continue to monitor international best practice and liaise with the Department of Health and professional health bodies about the appropriateness of the tool for diagnosing autism in Australia''. The government had yet to decide if it would adopt the updated Diagnostic and Statistical manual, she said. Sydney mother Kristen Callow knows the trouble parents of newly diagnosed children might find themselves in if funding is cut. Her daughter, Juliet, now 7, could read at age two but, despite having 500 words in her vocabulary, could not communicate ''I want juice''. 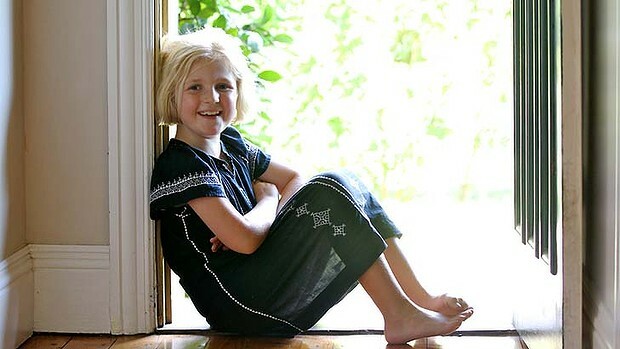 She was diagnosed with Asperger's syndrome at three. ''It could very well be that we would have missed the boat,'' Mrs Callow said. ''It's hard to argue that a profile like that does not need help. After Juliet accessed the early intervention program she has been able to attend mainstream school. Despite some initial difficulties with anxiety and adapting to the social environment, Mrs Callow said Juliet is doing very well. Kathryn Wicks is the co-author of the Australian Autism Handbook, published on Monday.